There’s a new superhero about to join the Marvel Cinematic Universe – Brie Larson’s Carol Danvers, who’ll be starring in the MCU’s first female-led movie, Captain Marvel when it arrives in 2019. With the film officially beginning production yesterday, the actress has now shared a video of herself limbering up to play the latest member of the Avengers. Larson can be seen making pull-ups look effortless, with the caption revealing that she’s been training hard for the role for the past nine months. Larson is clearly taking the part seriously. 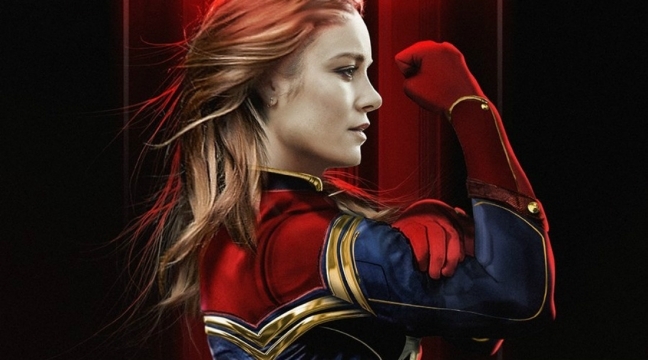 Not only has she made sure to get herself in shape to play Captain Marvel, but she’s also dug deep into the character’s rich comic book history, too. While the actress has been open about how she was initially conflicted by the idea of joining such a demanding franchise, she ultimately decided that the chance to play an awesome heroine outweighed the negatives of becoming a high profile superhero. Despite only just officially entering production, Larson has actually been shooting scenes as Carol Danvers for a while now. Back in January, our first look at Captain Marvel’s – surprising green – costume arrived in the form of set photos. Recent evidence has come to light, however, which has us thinking that this filming block might have actually been for Avengers 4, seeing as the character won’t be appearing in Avengers: Infinity War as expected. Some exciting new details have also surfaced involving the supporting cast of the pic. We’ve known for a while that Samuel L. Jackson would be reprising his role as Nick Fury in the 1990s-set Captain Marvel, and Jude Law will play the Kree Mar-Vell, but the big names don’t stop there. Clark Gregg will be back in the movies for the first time since 2012 as Phil Coulson, and Guardians of the Galaxy‘s Djimon Hounsou and Lee Pace will return as well. Brie Larson flies into cinemas as Marvel’s most powerful hero yet when Captain Marvel arrives on March 8th, 2019.